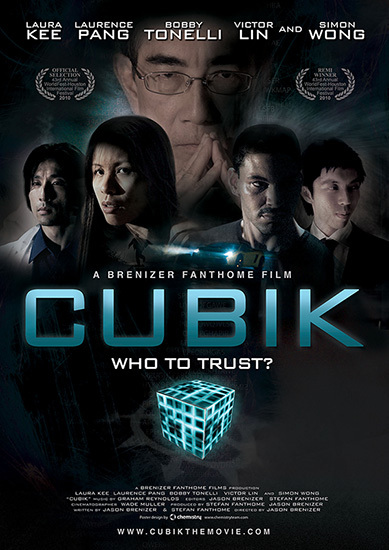 A trailer for the 32-minute award winning film that sparked THE CUBIK CONSPIRACY book series. A re-imagining of the Singapore underworld which follows the exploits of a young woman torn between living up to her familial expectations and finding her own passions in life. Film festivals include WorldFest Houston IFF, HollyShorts FF, Action On Film FF, Singapore Short FF, and Cincinnati Film Festival. CUBIK won the Grand Remi at WorldFest, the same as Steven Spielberg’s first award. Singapore is notoriously strict. If you are found with a firearm, you’ll see serious prison time. Fire that weapon, it’s even worse. Stefan and Jason wondered how the technology of protection would be distorted under the pressures of such an efficiently run society. We teamed up with members of LucasFilm and ILM to transform our independent film into a feast for the eyes. On the flip side, we engaged cast and crew from Singapore, Malaysia, Thailand, Australia, India, the USA, and the Philippines to give the story a true flavor of Southeast Asia. Watch the Entire Film Now! Want updates on my new books, audiobooks, and podcast episodes? What about giveaways and free resources?